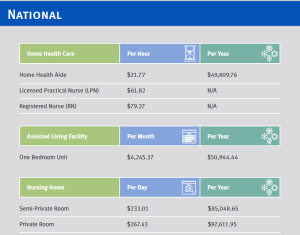 The cost of Long-Term Care services differs greatly depending on where you live. 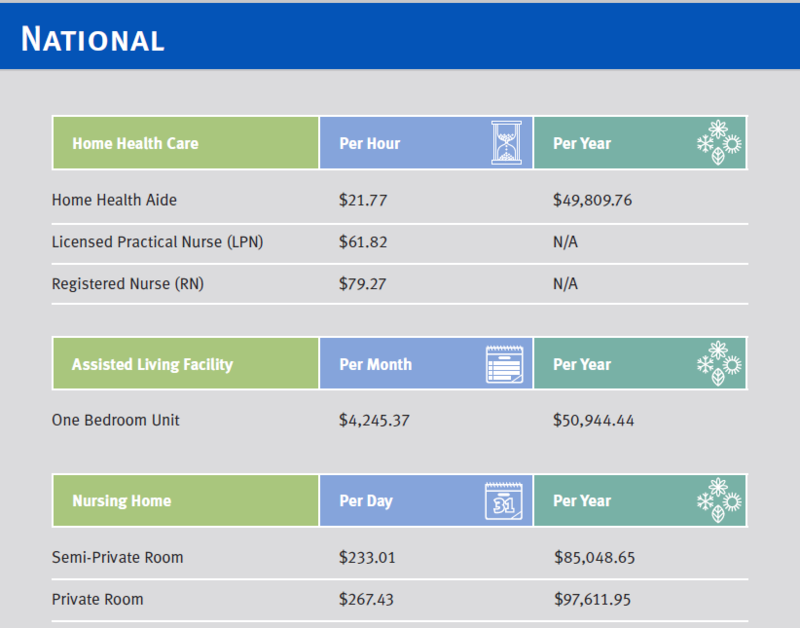 For example, the national average cost for a semi-private nursing home room is $233 per day. Yet costs range from $151 per day in Texas to $474 per day in Alaska. So you can see why it’s important to know the actual cost of care in your state. You’ll find that valuable information in Mutual of Omaha’s 2015 Cost-of-Care Study. Arming yourself with cost-of-care data for your state allows you to make an informed decision about you or a family member’s need for an LTCi policy. 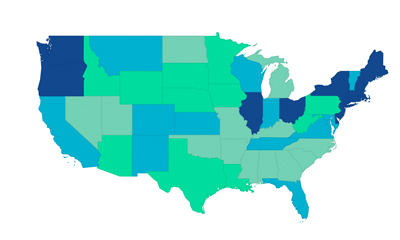 Click on the link below to view the long-term care costs by state.